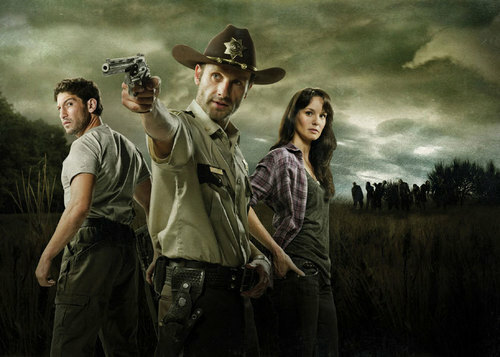 Shane, Rick & Lori. . HD Wallpaper and background images in the ang paglakad patay club tagged: the walking dead season 1 andrew lincoln rick grimes sarah wayne callies lori grimes jon bernthal shane walsh. This ang paglakad patay photo contains boater, leghorn, panama, panama sumbrero, mandaragat, espumadera, dayami sumbrero, Fedora, nadama sumbrero, Homburg, Stetson, trilby, and hat campaign. There might also be Beaver, castor, navy seal, seal, green beret, mga espesyal na pwersa, and pili kawal.